Defence Review Asia (DRA), in Print and Digital, is a regional defence magazine published by Singapore's, Asian Press Group Pte Ltd.
Its objective is to meet the requirements of defence professionals with unbiased quality coverage of defence issues in the Asia-Pacific region. DRA's editorial team under the direction of Mr Kym Bergmann, provides unrivalled reporting and analysis on all issues within the region, or what will impact the regional defence scene. DRA has a targeted Regional and International audited circulation. 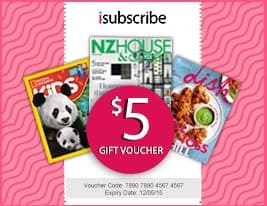 Be the first person to tell us what you think about Defence Review Asia (AU) and you'll save $5 on your next purchase!